An upcoming update to Google's Android software finally has a delectable name. 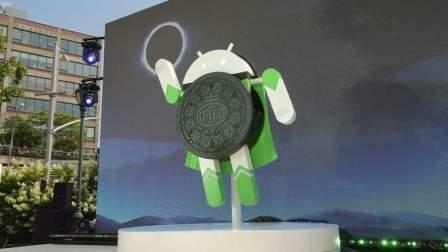 The next version will be known as Oreo, extending Google's tradition of naming each version after a sweet treat. Google anointed the software Monday after spending the past few months referring to it as "Android O." Oreo boasts several new features, including the ability to respond to notifications directly on a phone's home screen and the ability to access apps without installing them on a device. The free software is scheduled to be released this fall, most likely after making its debut on a new Pixel phone that Google is expected to begin selling in October. The nicknames for earlier Android versions have included Nougat, Marshmallow, and Lollipop. Google and Oreo's maker, Mondelez, referred to their deal as a partnership, rather than a sponsorship, as no money was exchanged. Google has named Android after a brand before: The 2013 version was known as Kit Kat. Financial terms weren't disclosed for that. Android is the world's most widely used mobile operating system. Apple doesn't use names for its iOS system for iPhones, though the software for Mac computers is named after big cats and geographic locations in California.